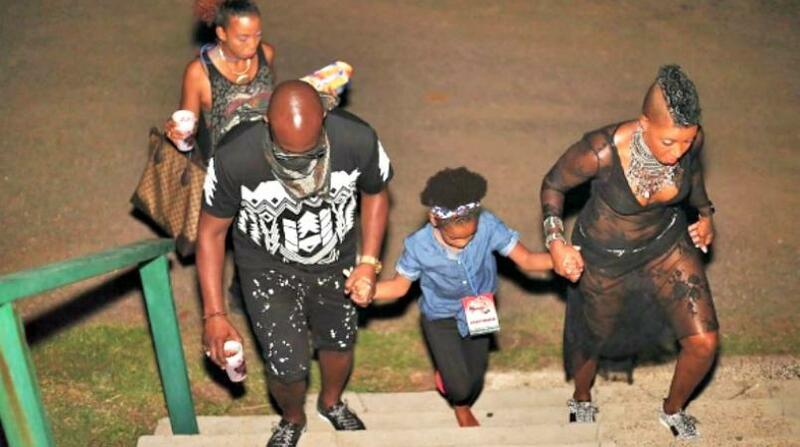 Fay Ann Lyons-Alvarez and Ian ‘Bunji Garlin’ Alvarez are seeking to pass on their love for Trinidad and Tobago to their daughter Syri. Celebrating Independence Day off island as Fay Ann wraps up three days of work in LA working with Producer Fernando Garibay, in between grabbing lunch, this soca power couple snapped a selfie for Loop (seen below) and said what they love about their homeland. Against this backdrop as the Alvarezes raise their young daughter, Fay Ann said that the variety of cultures found at home is the one thing she never wants Syri to forget about. “All things Caribbean, but Trinidad at the core,” most specifically Fay Ann said with a huge smile.